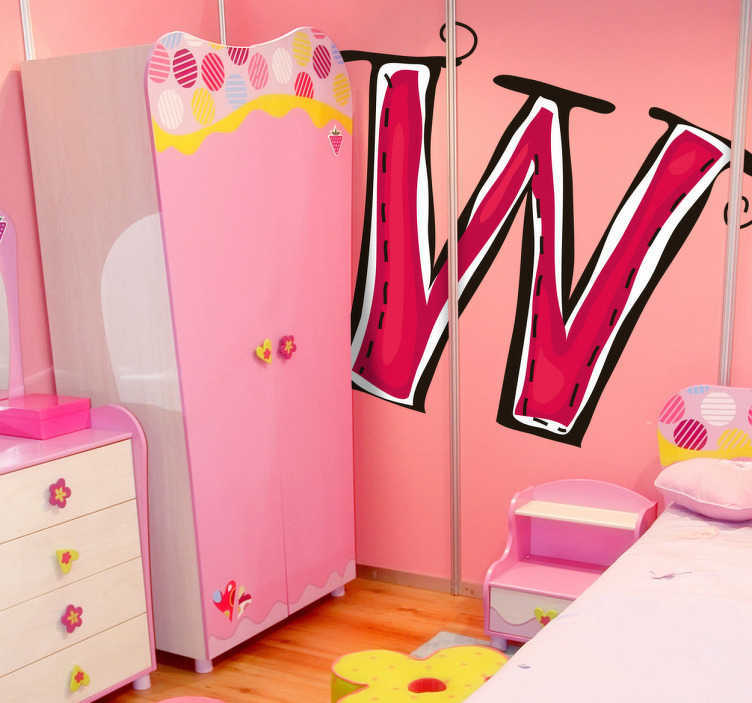 Decorative sticker of the letter W. Does your child´s name start with W? A brilliant decal to decorate your child´s room. Walter, Wilson, William, Wendy? This letter will give your room a new look! Create a loving atmosphere with the pink colour. You can place this sticker in any surface of your choice. It will give your home a touch of style! Available in different dimensions. Easy to apply with anti-bubble vinyl and leaves no residue upon removal.